There are so many online selling sites to sell stuff especially things like crafts, antiques and handmade items. Handmade crafts are usually in high demand, it is quite a niche market, and many online markets sell such handmade items. I had many readers reach out to me to find about authentic places other than sites like Craigslist to sell handmade items. 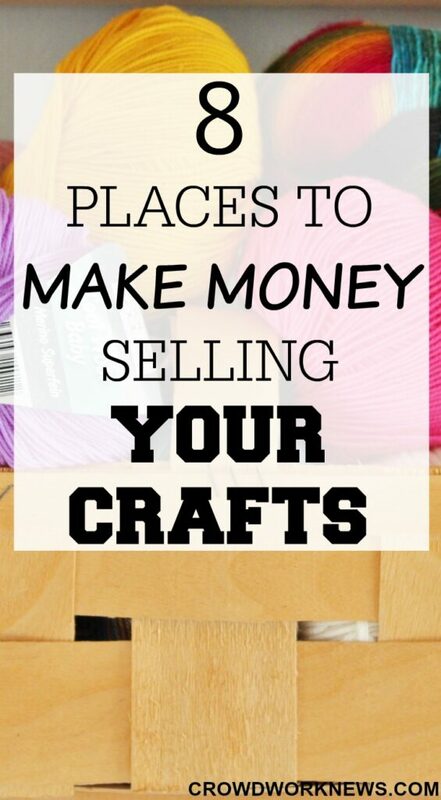 Today, I am listing some good online selling sites where you can sell your crafts. Etsy is the most well-known and popular marketplace for selling crafts online. It has a wide variety of handmade crafts listed. There are no fees to become a member of this marketplace, but Etsy does have listing fees and takes a percentage of your sale earnings. Another super big marketplace which sells many things other than crafts or handmade items. eBay sells a lot of things. I have seen a good number of crafts listed here as well, so this can be a great option. There is insertion fees (you have some free insertions per month) and final value fees which depend on the amount of sale and postage. iCraft is another marketplace where you can sell handmade items exclusively. They don’t accept anything other than handmade things. They have monthly fees to register on this marketplace. But there are no fees taken out from your sale earnings. This is again quite popular online marketplace where you can sell handmade items along with crafts. They have two types of payments; the first one is 0.23% per listing and final valuation fees of 9%. The second one is $20 per month for your store, and you don’t pay any listing fees. You will be paying around 3% of final valuation fees for this plan. They also have a $40 per month plan. This is relatively a new marketplace when compared to other established stores like eBay or Etsy. The biggest advantage with this marketplace is that you have no listing fees or monthly store fees and, this is great when you are just starting out. Another marketplace which has a lot of listed items right from jewellery to vintage and crafts to sell. This marketplace does not have any selling or listing fees and, this is one more marketplace which you can look at if you are just starting out. This marketplace is exclusively for handmade items, and they have a huge category of handmade things to sell. Registration is free, but you will have to pay a listing fee and a percentage of the sale. Hyena Cart sells handmade things exclusively. Apart from selling handmade items, they also sell used things. This marketplace has three options to register – share your online store with other sellers, have an individual store or sell used things through Spot’s Corner. They don’t have a listing fee, but a one-time setup fee of $10 is applicable. There is an ongoing monthly fee of $5. You can also try registering with online shopping e-commerce platforms like Shopify, Amazon and Storenvy and start selling. If you are interested in selling on Amazon, then you need to read these tips about making 6 figures with Amazon FBA. Here are some more online business ideas which can give you great income. 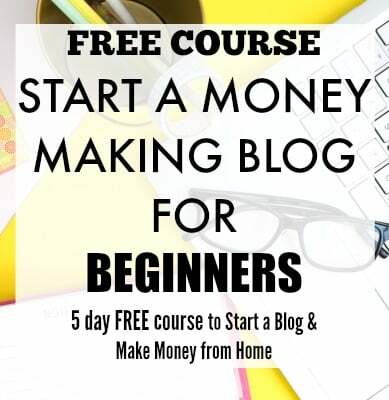 Blogging – I know now for sure you can make superb money from blogging. I started blogging ten months ago, and now I am earning almost over $5000 a month. 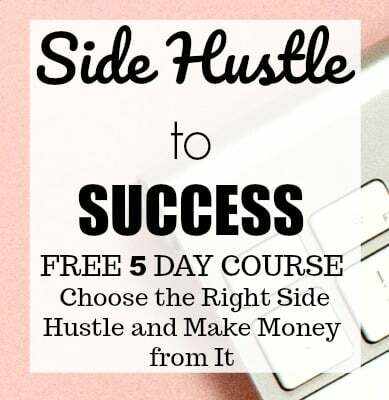 Blogging can be side hustle or a full-time biz but either way, it is a super flexible way to make money online. I have a super easy step-by-step tutorial to start your own blog. Flipping – I am surprised at how profitable this side business is. It can be a main income earner for you. Melissa earned over $40,000 last year flipping thrift store items part-time. And she doubled it this year, making over $130,000. Cool, right?!! Flipping can be a super fun and flexible side hustle. Virtual Assistant – This is the most in demand work-at-home job, and it can be very flexible. Virtual Assistant jobs have been on the rise, and it is the perfect time for you to get into this money-making online job. You can make anywhere from $35-50 an hour as a beginner in a Virtual Assistant role. I agree. You can also sell your stuff online. because i think everybody is online. so its good to market your stuff and make profit in your online shop. good read thanks! Online shopping is becoming a trend now where you cannot only buy handmade products but also purchase branded products. People are also using facebook as a marketing tool to promote their home-made products and sell them via online website.